The new Star Wars Episode VII trailer was released recently, and the internet imploded. It mended itself, only to implode once again. This time at the hands of two DC heavyweights and their much anticipated collision. 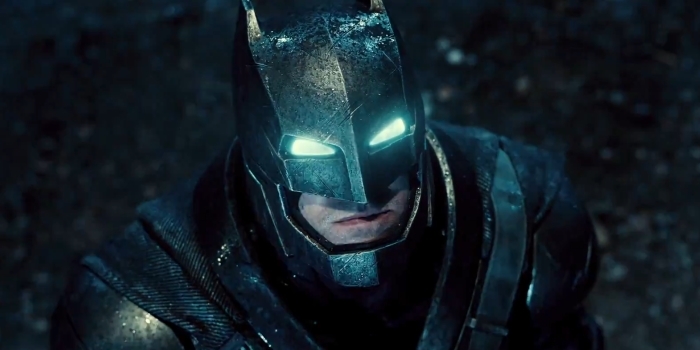 Ladies and gentlemen, the first full trailer for Batman v Superman: Dawn of Justice is here. Show of hands: who was a little irritated by the teaser trailer for Batman v Superman that dropped a few days ago? Yeah, us too. We understand it’s supposed to build hype to the actual trailer, but trailers for trailers just seem weird. However let’s not dwell on that, the actual trailer is here and it is every bit as awesome as I would have imagined. Now that you’ve digested the trailer, and probably watched it a few times, let’s talk about it, shall we? Honestly, I loved so much of this trailer, especially because I’ve been dying for more footage since last year when a short clip of a Batman v Superman stare-down was shown at Comic-Con. I geeked out for that short clip, but this time we were given something more substantial and learnt a little more about the story. In this film, the people of Earth know about Superman and are divided as to whether he is their saviour and protector or a false god who should go home. This was crucial for me because despite Batman’s name appearing first, this is essentially a sequel to Man of Steel. I loved the idea that Superman is not solely praised bu to a certain extent is actually feared. People know what he can do, and that he is unlike any other being on their sacred planet, but do they really know him and the extent of his abilities? The theme of divinity is apparent throughout the trailer, particularly in shots where Superman is framed as being that of a deity, who should be bowed down to and looked up at. If you’ve been following the casting news closely you would have known that Jesse Eisenberg (The Social Network, Zombieland) will be the big bald-headed baddie Lex Luthor. At first glance I was a little disappointed not to have him featured in this trailer but actually he is. If you listened closely you would hear Luthor’s voice during the voice overs at the beginning of the trailer. Luthor compares Superman, not to an angel, but rather to a devil that came down from the sky. This leads me to believe that Lex is spearheading this crusade against Superman and using his influence to depict Superman as a threat to mere mortals. I have to admit, I wasn’t completed sold on the idea of Ben Affleck as Batman – along with most of the internet. BUT I didn’t think Heath Ledger could play a decent Joker and he went on to play arguably the best Joker of all time. So I’m going to be lenient and let him have a chance. We saw plenty of Batman in this trailer: we saw Bruce Wayne looking on at his batsuit, we saw him wearing the cape and cowl and we saw him in an armoured suit that looks so cool that I can’t actually even. Aside from the visuals, we got an idea of where I think Batman fits into the entire narrative thanks to voice-over by Alfred (Jeremy Irons). We learn that being powerless is not something Batman enjoys. He was powerless when his parents were murdered, of course. Recognising that Superman is the most powerful being on Earth, I think Batman sees this as not only his greatest challenge but also his duty to his fellow human beings to try to bring down the Man of Steel. 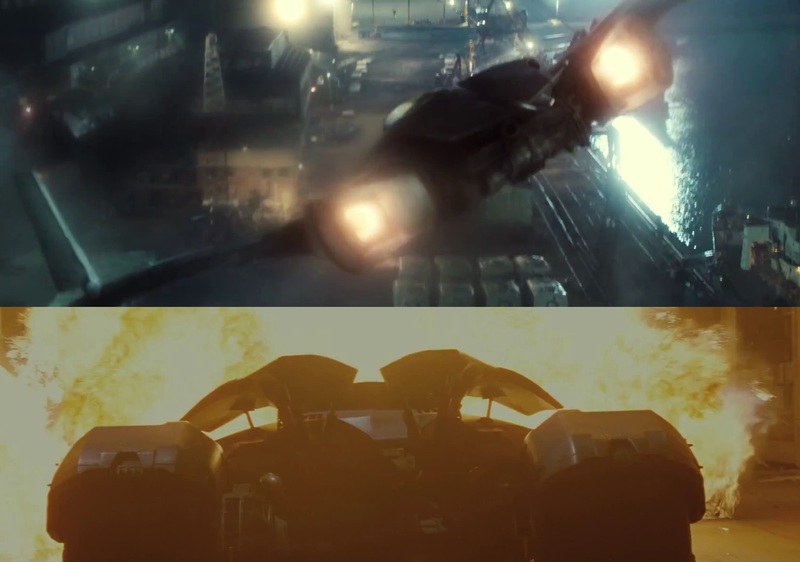 We got a glimpse of two iconic toys we know and love: the batwing and the batmobile, which look to be some of the more important weapons in his arsenal. How they can match up to the mighty Kal-El is another story altogether. Yes I know it’s the first trailer and they couldn’t pack everything into this. Plus this film is only going to be released next year so there will be more trailers and hopefully these will feature more of characters we know are slated to be in this. For instance, we know Wonder Woman plays a significant role in this film but does not appear in the trailer. 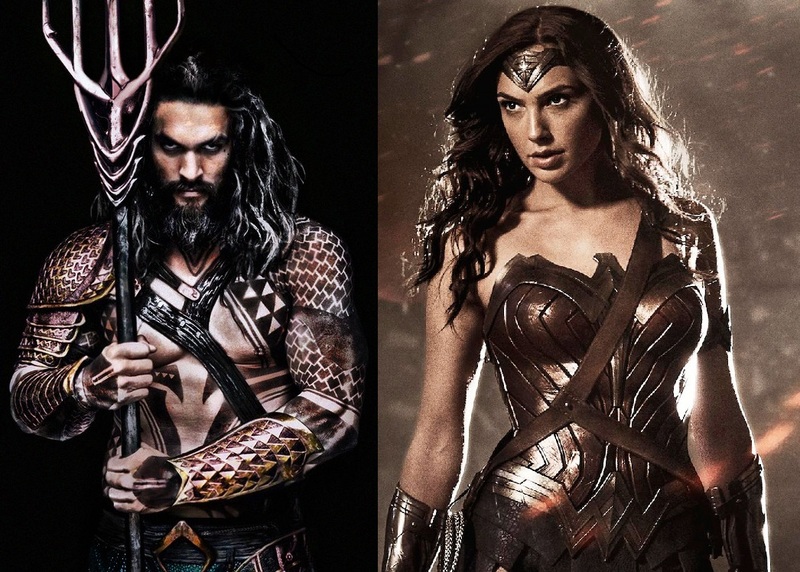 Neither does Aquaman despite both characters being featured in press surrounding the film. We haven’t seen Lois Lane or Cyborg in this trailer and only heard Alfred and Lex Luthor. But like I said, there will be more trailers to come and more epic encounters to tease before the film is released in 2016. Still, it would be been nice to see a lasso or trident for a brief second. What are your thoughts on this trailer? Did you love it? Hate it? Do you like where the film is headed? What would you have done differently? Let us know in the comments section below. About the author: I’m just thinking…what if Batman has asked Supergirl if she bleeds? Would that have been hilarious or offensive? It’s probably a legit question though… Carry on.